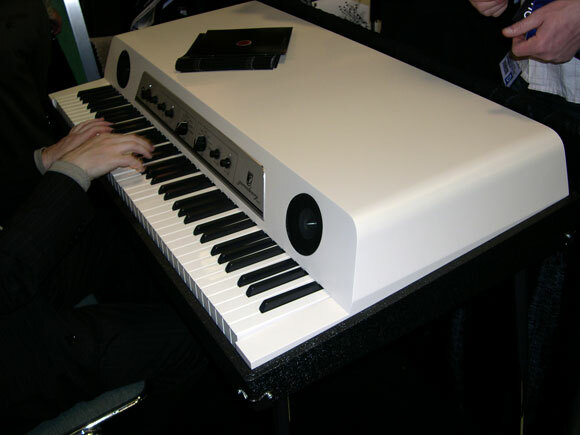 Waldorf’s Zarenbourg electric piano was on display at their NAMM booth. 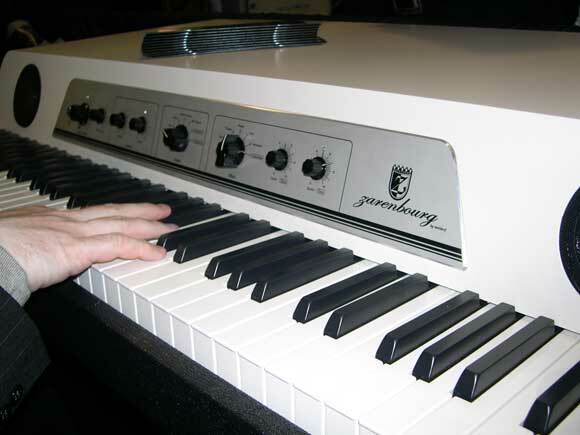 Beholding its grand, future-retro design, you’ll immediately wonder: are there tines and pickups under the Zarenbourg’s hood, or a digital sound engine? The answer, alas, is the latter, which will be appreciated by keyboardists who value the ability to use multiple built-in sounds and effects along with an editor librarian in VST and Audio Units. There are also several bold color schemes for the Zarenbourg’s shell, including a huge Union Jack flag, so you can keep your Zarenbourg coordinated with your Mini. The large, flat top also lends itself nicely to holding another keyboard and/or computer setup. The Zarenbourg is scheduled to ship in May for around $5k MSRP.